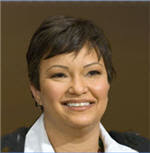 On January 23rd, Lisa Perez Jackson was confirmed as the Administrator to the of the Environmental Protection Agency. Jackson earned her bachelor's degree in chemical engineering at Tulane University in New Orleans, followed by a Master's degree from Princeton University. She's the first African American and the fourth woman to serve in that position. Ms. Jackson, who is a chemical engineer, brought a more policy-driven approach to New Jersey’s historically politicized Department of Environmental Protection as its commissioner. During her 33 months in that job, the state began conducting compliance sweeps to crack down on polluters in environmentally ravaged sections of Camden and Paterson, ended its controversial bear hunt and unveiled a plan to reduce carbon emissions 20 percent by 2020 and 80 percent by 2050. On the other hand, the Public Employees for Environmental Responsibility have been critical of her work there, claiming that she has a "highly politicized approach to decision-making that resulted in suppression of scientific information, issuance of gag orders and threats against professional staff members who dared to voice concerns." She has stated, though, that "science will prevail over politics" in the agency's decisions. In her first month on the job, she has pledged to reconsider or reverse several Bush administration directives that would have reduced regulation on greenhouse gas emissions. That sounds like a good start. For more about Jackson's thoughts on the environment, see the January 29 interview with Jackson in Essence.